The 5th Annual Pie-O-Rama Party! Coming Sunday, March 20! Registration is Open! ≈ Comments Off on The 5th Annual Pie-O-Rama Party! Coming Sunday, March 20! Registration is Open! APRONS ON! ROLLING PINS UP! Get ready because on Sunday, March 20, the Fifth Annual Pie-O-Rama Party will be cookin’ at TCFA! Great fun and a public favorite in the past, this year’s event promises to be even better! Now is the time to enter the intense competition to discover the Best Pie in Town! Will it be yours?!? The field is limited to just 20 pies so register early. All entry forms must be in by 5pm on Friday, March 18. Do not delay—places are already being snapped up! Entrants create two pies, both the same: one for presentation to the hungry attendees, for tasting and voting; and one for display and auction to the highest bidder. The prize is lasting glory, $100 in cash, and, for one year, ownership of the beautiful No. 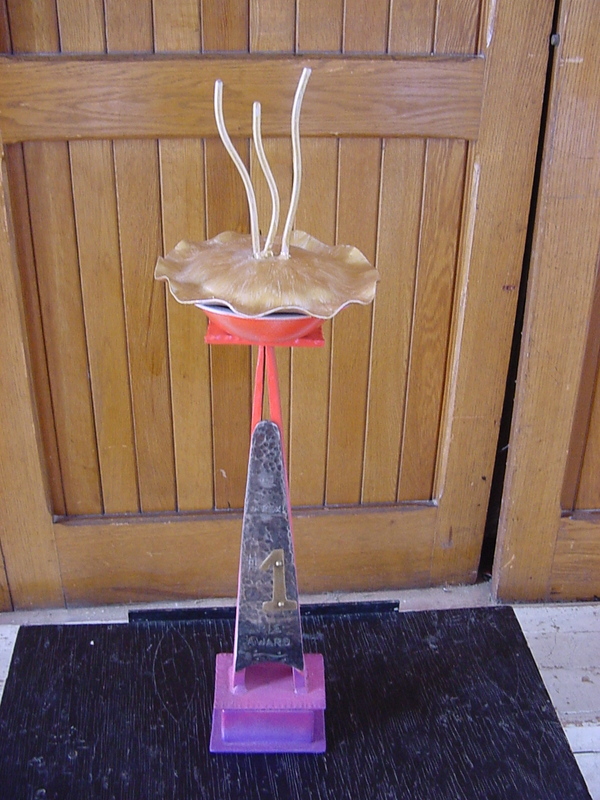 1 Apex Pie trophy, created exclusively for the conservatory by blacksmith Durand Van Doren. To enter, use the Pie-O-Rama Registration Form 3.16. You can pay the entry fee via Paypal. Those bakers using Paypal must deliver their completed registration to TCFA via mail, by e-mail or by hand on or before the March 18 deadline. Payments can also be mailed (with completed forms) to TCFA, PO Box 1053, Trumansburg, NY 14886, or dropped off. Acknowledgement by TCFA of receipt of payment/form will confirm participation. For more information, call 607-387-5939.